The first Endless Ocean is one of my favorite games of this console generation. I raved about it in January of 2008, and at the end of the year, Endless Ocean would go on to win our “Nintendo Wii Game of the Year” and “All-Ages Game of the Year” awards in our 2008 Gaming Awards. It was also my #3 game of 2008, (Behind Valkyria Chronicles and The Lost Crown). Here we are, two years later, with the second game in the series. It’s been released at a budget price of $29.99, and some come bundled with a free copy of Wii Speak, which will allow you to talk to other gamers playing this title as long as you both have a Wii Speak. This is a great way to move both products since you’re getting a fantastic deal. At least on the surface. After all, there are only five other games besides this one that are Wii Speak compatible (Uno, The Conduit, NBA 2K10, NHL: 2K10 and Animal Crossing: City Folk). I have neither owned, nor even played any of those games, which makes Wii Speak a nice bargain to be thrown in with EO:BW, but ultimately an object that will just take up space. There’s more of a story to Blue World than we had in the previous Endless Ocean. Here you’ll be a college student getting their degree in folklore. You take a leave of absence from college to join up with the L&L Diving Service so you can pursue the legend of “the Song of the Dragons” which turns out to involve a 19th century castle that sank to the bottom of the ocean. As you attempt to solve this mystery by diving for clues and relics, you’ll make new friends of both human and aquatic nature. The core aspects of Endless Ocean remain the same though. You’ll be teaching tricks to dolphins, swimming to serene music and playing an otherwise relaxing and almost Zen-like game. 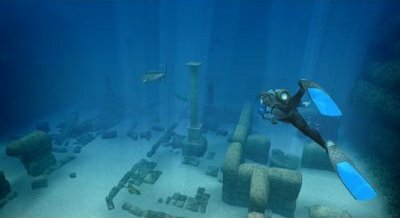 The game has numerous subquests to play through, ranging from cleaning up fish to teaming up with a certain marine life form to clear boulders. 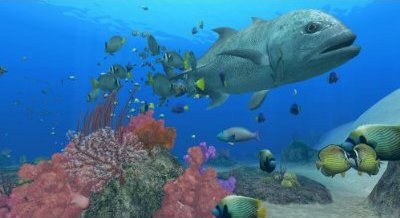 Most of all though, the game is an open ended blissful underwater adventure where you swim around and identify over 100 types of marine life in all their shapes, variety, and glory. I can’t emphasize enough how much I love the sheer amount of knowledge you get from this game. The more you interact with a species, the more real life information about it will be unlocked. The game is as educational as it is beautiful, and I can’t stress how much that aspect means to me. I loved seeing a strange new creature or learning the habits of a Cormorant or Mahi-Mahi. 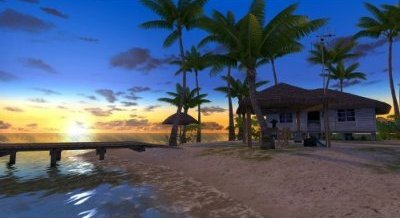 You can also take pictures of things underwater and store them to an SD card and even buy items to customize your own personal island paradise. There are a few things from the original that I strongly miss. First is the fish petting. As silly as it sounded, man was popping in the first Endless Ocean and petting some fish for an hour soothing and oh so relaxing. Here you don’t have that option. 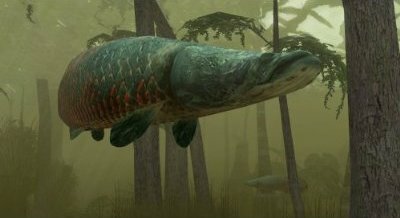 You swim with the fish and sometimes feed them or shoot them with a healing beam that can also be used to drive off various predatory animals like sharks. I also miss the dive requests from tourists. Here you’ll be doing salvage missions instead, which just aren’t as fun. I enjoyed this game and found the characters and new story line to be interesting, but so much of the game was exactly like the original – just not as good. There is some new stuff added and the game is larger than most RPG’s, but I actually preferred the stuff they took out to the new options, so it’s slightly disappointing. Endless Ocean: Blue World is still one of the two best games I’ve played in 2010 so far (along with Tatsunoko Vs. Capcom), but it is about a half step below the original title. My god is this game beautiful. All of the animals are extremely detailed and have such lifelike animation, one would swear they were real if they didn’t know better. At times the footage can look like something right out of a nature documentary. It’s not quite Afrika beautiful, but it’s damn close. The animals, the water, the backgrounds, the lush scenery. Everything is amazing and you’ll have trouble believing that this isn’t a high definition game. It’s that good looking. The one and only downfall to the visuals are the human models. They are a little out of place with the rest of the visual quality and at times, they can even be pretty hard on the eyes when compared to the rest of the game. Nancy and GG are the worst, and they look like early PS2 models rather than mid-gen Wii graphics. They’re not bad mind you. In some other game they’d be enjoyable for what they are. Compared to the high quality of the rest of the graphics though, it just pull things down. 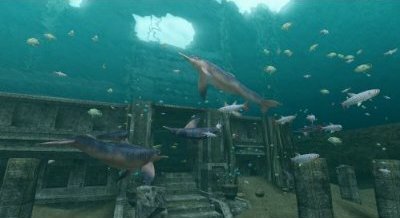 Thankfully 90-95% of the game is underwater so you’ll spend your time looking as stunning visuals rather than creepy people. When one thinks of the first Endless Ocean, they can’t help but gravitate towards Hayley Westenra’s “Prayer.” That song was so majestic and sublime it charmed nearly everyone. The rest of the soundtrack was equally amazing and it was one of the best auditory experiences I’ve ever had with a video game. It would send chills down my spine. It was THAT GOOD. Unfortunately, the soundtrack in Blue World isn’t as powerful. It’s wonderful, but gone are the straight pure Celtic tracks that exuded relaxation and bliss. I miss them terribly and Blue World‘s soundtrack is a bit of a disappointment compared to the original. 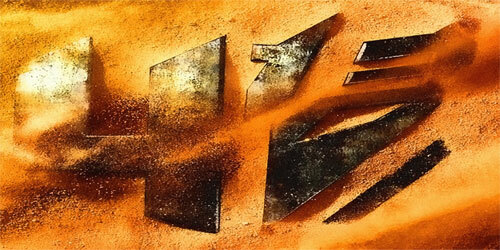 Still, taken on its own, the music is serene and beautifully done. The tracks fit the calming atmosphere of the game nicely and it really is a wonderful soundtrack; it’s just that the original was as close to perfect as it gets, that anything else would be a letdown by comparison. If you haven’t played the original, you’ll find a compelling and almost haunting set of songs to guide you on your journey through the otherwise silent abyss. There is no voice acting in Blue World, at least for human characters. 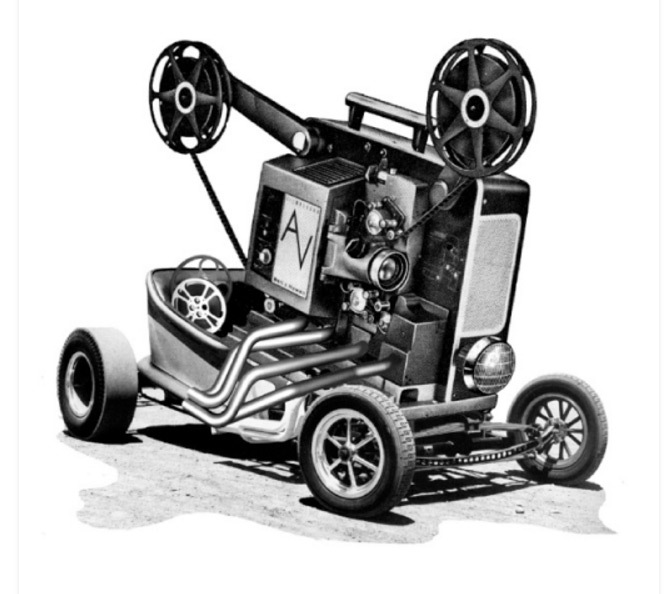 It’s silent scrolling text here. However the animals do make noises and they are recordings ripped straight from the animals themselves. 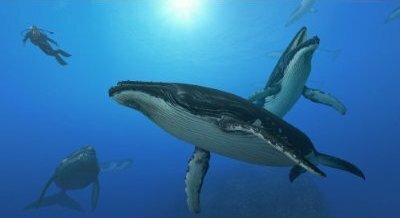 Birds tweet, whales sing, dolphins make their weird but charming noises and everything sounds as if they are truly alive. It’s small things like this that just scream quality and Arika has done another masterful job here. So yes, diehard fans of the original Endless Ocean will find the new soundtrack a bit lacking in regards to both power and passion, but it’s wonderful in its own right and something I’d happily have a CD or MP3’s of for when I am working out or on a long car trip. So far I’ve stated that the original game has been superior to Blue World in all aspects so far. Well here is one area where the new game actually outdoes the original. In my review of the original game, I did say that the control scheme was the Achilles Heel of the game due to some strange mapping on the Wiimote. Well, that’s more or less true here as we have even more controls but the same amount of buttons on the Wiimote. This can make things a bit unwieldy, especially when you are trying to go from feeding a sea horse to needing to fend off a Tiger Shark. Every single button on the Wiimote has one or more uses and it can get a bit unwieldy. So, with this in mind, you may be wondering why I actually prefer this game’s controls. Well, it’s because you finally have a second option instead of the all-Wiimote controls with the Classic Controller scheme. Oh my god, is it like night and day. It’s so much easier to make tight turns, change direction and even get the cursor to home in on a specific fish or creature when there are dozens on your screen. Quick turn is finally its own button rather than being a double click of the B button of the Wiimote, which is also your swimming button, so you no longer have to stop moving for a second to spin around. In fact, the only thing missing from the Classic Controller option is the ability to roll. How they made this oversight is beyond me, but at least the Wiimote is still connected to the Classic Controller when you play. Overall though, the Classic Controller gives you a superior gameplay experience and makes it easier to scan, feed, heal and swim throughout the game. The overall gameplay flows like this: You pick a location for diving, you jump into the briny blue and then you swim around to complete your objective. Perhaps it’s to find a specific object or fish, or maybe it’s to complete a map of the dive spot so you can make some money. You can stay underwater as long as you have air, and while underwater, you can scan fish to add them (and their zoological information) to your collection. You can also find coins, relics, and more in the water. You have many options besides the basic gameplay. You can feed fish, use a pulsar gun to heal them, use an electromagnetic sensor to find treasure buried beneath the sands, take pictures with an underwater camera, and use a sea whistle to call one of your animal partners to you so you can swim together. It’s all very simple, and although the basic controls of the game are quite simple and will be used in each section, the goals and locations will differ wildly. So Endless Ocean: Blue World might lack the music and more fun aspects of the original Endless Ocean, but the Classic Controller makes the game a lot easier, and thus more fun, to play. It still has some issues and the Wiimote controls are a bit clunkier than ever, but the overall experience has taken a step in the right direction. Blue World is a very large open ended game. You’ll have to go through each area of the game multiple times to see every fish, collect every object and finish every subquest. As I said earlier, this game is longer than most RPG’s and with the ability to gain diving and salvage levels, it can sometimes feel like one rather than a simulation. You can spend hours just training a dolphin and it will feel like mere minutes. I spent an entire day just exploring the first two areas in the game because I wanted to see the differences between day and night and make sure I collected all that I could. It’s very hard to see all that there is to see in Blue World, and much like the original game, I know I’ll be playing this title for some time to come, even long after this review has gone live. You also have the bonus ability of playing with your friends over the Wi-Fi connection. It doesn’t really add anything to the game but it is a nice little thing to do now and then. It’s a bone thrown to you from Arika, although it’s not something most people who pick up this title will get much use out of. It’s still amazing that you can get more replay value out of a budget title than nearly every full priced game on the Wii as well as most 360 and PS3 games. There’s always one more coin to collect or one more fish to feed. This is another area where Blue World exceeds the original. Instead of having to pet some fish for literally minutes to identify them, now you just lock onto them with the A button and you get your information. If you want more details about the creature, you can feed them and/or take their picture to get some trivia. This is nicely done and lets one get the knowledge about the animal in an easier fashion. The game has also added a punishment if you run out of air on your dive. In the original, you just went back to the surface and that was that. Now you have to surface before your oxygen is depleted or you get a mark against you in your records. It’s a wrist slap to be sure, but at least there is some acknowledgment that you would have died horribly if you did something like that in real life. You can also be attacked by predatory animals. I accidentally walked into a great white shark feeding frenzy, and though I had my pulsar to repel them, I couldn’t take out a half dozen sharks and, well, they got me. You don’t die when this happens or get any real punishment save for your pride being damaged. It’s like in Afrika where you can be attacked by a hippo or zebra, but you’ll be pulled out of harm’s way at the last second. Still, it’s a bit scary to see a pack of sharks bearing down on you, even in a video game. It’ll be tricky to complete everything in the game and some quests are definitely harder than others, but as long as you explore everything, you’ll be able to finish them, even if it is later rather than sooner. Between the Everblue games (the series Arika made before they moved on to Endless Ocean) and the Aquanaut’s Holiday series, I’m surprised how crowded the “underwater simulator” genre has gotten over the last few years. I can’t really say that Blue World brings anything new to the table, as there is nothing here, save for some collection aspects and a new control scheme, that truly separates it from the original. It’s basically the same game with a fresh coat of paint. At least the original was a vastly improved version of Everblue. So if there is one real pratfall for Blue World, it is that you are getting essentially the same game but with different locations, a new soundtrack and some very small new options to play with in exchange for the gutting of others. Like the original Endless Ocean, Blue World was very hard to put down. It has an almost meditative quality about it that I adore. The music, the water, the fish and the entire package never fails to sooth me. I spent days with this game where I would play it for hours at a time. In fact most of my “breaks” were because the batteries in my wireless sensor bar or wiimote died and I had to recharge them. Blue World is so serene, it’s rather hard to put down. It mellows me out, puts a smile on my face, and I get to think about my Cancun vacation coming up at the end of April where I’ll get to do this sort of thing for real rather than virtually. Blue World is a slow paced game where the goal is simply to look and experience rather than kill anything or save a princess. Gamers with short attention spans or ADHD might not be able to deal with the laid back atmosphere of the game, but for most gamers, once you get into Blue World, it’ll be hard to stop playing. Although some would-be gaming publications poo-poo’d the original Endless Ocean and refused to even call it a game (How long did you stay in business after that, EGM? 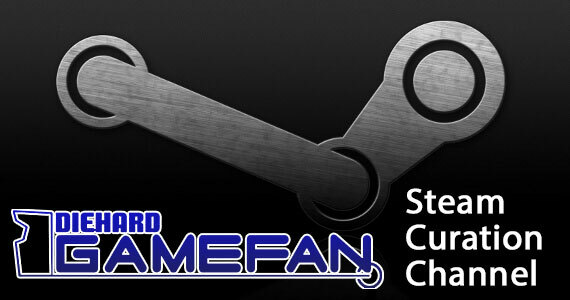 ), it sold extremely well, proved to be popular with actual gamers and ended up winning several awards when 2008 was done, including the two from us mentioned in the preamble of this review. Much like the original, Blue World is a game that can be appreciated by nearly everyone, be they casual gamer, small child, or diehard consumer of electronic entertainment. The game is a work of beauty, speaking to the artist within each of us, and if this game somehow fails to touch your soul, then you probably don’t have one. 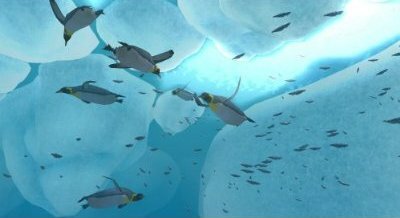 Even if an underwater sea life simulation is outside your usual genre preferences, you’ll find yourself captivated by this game and scouring columns of coral to see if there is a small life form of secret coin embedded in there somewhere. It’s a game that transcends genres, and although it admittedly isn’t for everyone, it is a game that even people without patience or calm should experience just to see that high quality games that don’t involve slaughtering a digital opponent do exist. So for $29.99, you are getting a budget game that is far superior than the majority of fifty or sixty dollar priced titles that are out there. If you’re lucky you’ll also be getting a copy of Wii Speak for free, which generally runs the same cost as this game. This just might be the best release deal of all of 2010. I can’t see any other game getting such a costly pack-in for free. If you missed out on the original Endless Ocean, then hang your head in deep shame. Worry not though, as the sequel is as cheap as it is awesome, and although my favourite aspects of the original have been replaced and the soundtrack isn’t as awe-inspiring, what’s here is still one of the best games released for the Wii. Blue World is definitely going to be a nominee for several awards at the end of the year. This is a game that needs to be experienced, so by all means, go out and pick it up if you haven’t already. In a day and age where most gamers tend to be shocked and appalled at seeing a fifty or sixty dollar price tag on a game that is essentially garbage, Endless Ocean: Blue World is a refreshing breath of air. At only $29.99, you are getting a game that is more open ended and longer than the average RPG and boasts visuals that are on par with a high resolution title. Lucky gamers will get a free Wii Speak thrown in with their copy, increasing the value of this game all the more. 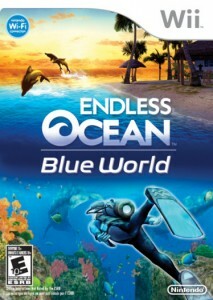 Although Blue World is a half step down from the original Endless Ocean, due to the replacement of the best (or more soothing) aspects of the game in favour of a gun for calming or healing animals and the loss of the epic soundtrack of the original, this is still one of the best games available for the Wii and one that truly needs to be experienced in order to understand how truly sublime and awe-inspiring it can be. If you have a Wii, you need this game – it’s that simple. well i think that the game endless ocean is a cool and adventuring game in the sea and you can see exiting creatures and the graphics are awesome!and it is so realistic so that is why i like the game endless ocean and i am 11 see ya later peace!!!!!!!!!!!!!!!!!!!!!!!! With all the crap floating around on the internet, it is refreshing to read a site like yours instead.